Need help working with Indigenous Peoples? 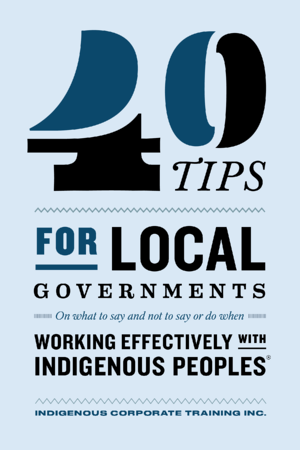 This handy little eBook is a great free resource for anyone in Local Government looking to work with Indigenous Peoples including: the Indian or First Nations, Inuit, and Metis Peoples. The must-do's contained in the book will definitely give some great ideas to help you before that next community meeting.